Kids Who Laugh is a nontechnical guide designed for parents and teachers of children, ages 0-12. It contains multiple suggestions for easy strategies to facilitate children's development of their senses of humor. The main assumption is that a person's sense of humor is not determined at birth by genetics, but is a highly desirable personality trait that can be readily enhanced by learning and practice. Techniques are presented in the book to make that process fun for families, both parents and children. 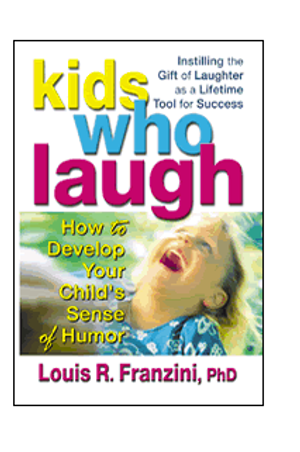 "Kids Who Laugh" won a Bronze medal in the Foreword magazine Parenting books competition.